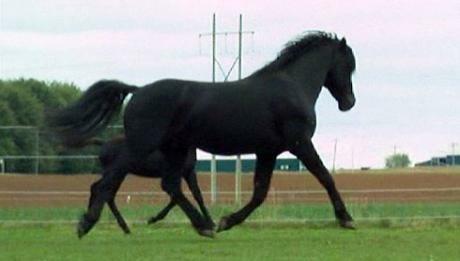 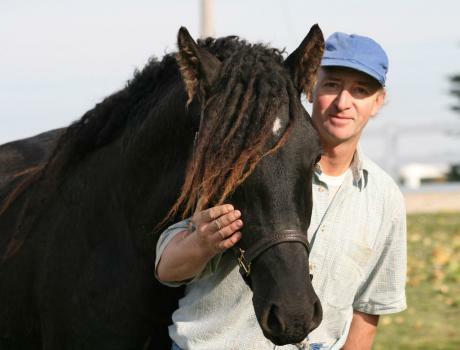 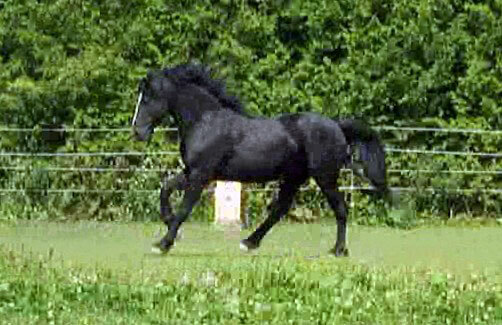 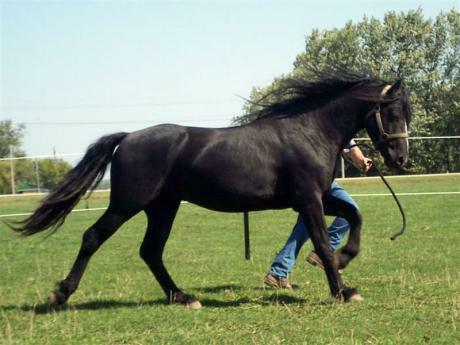 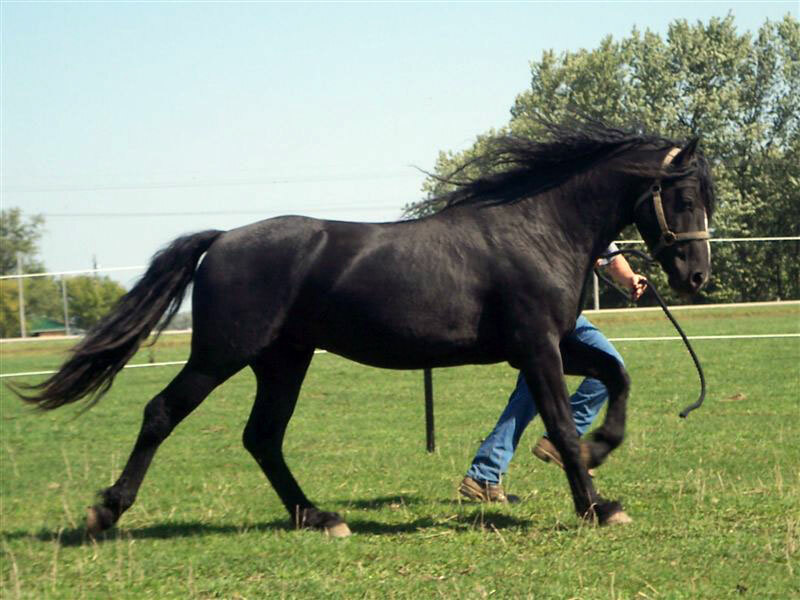 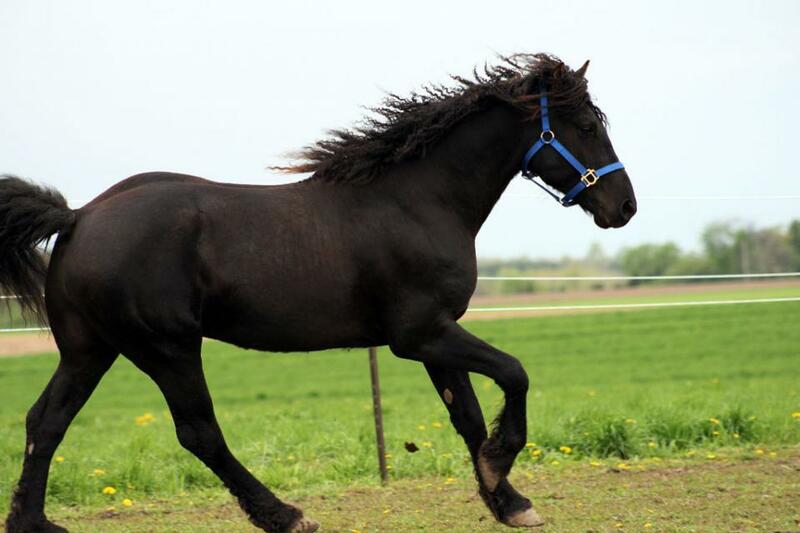 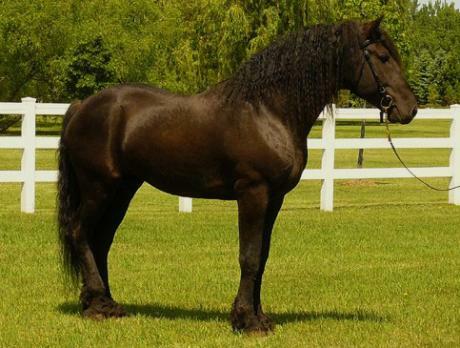 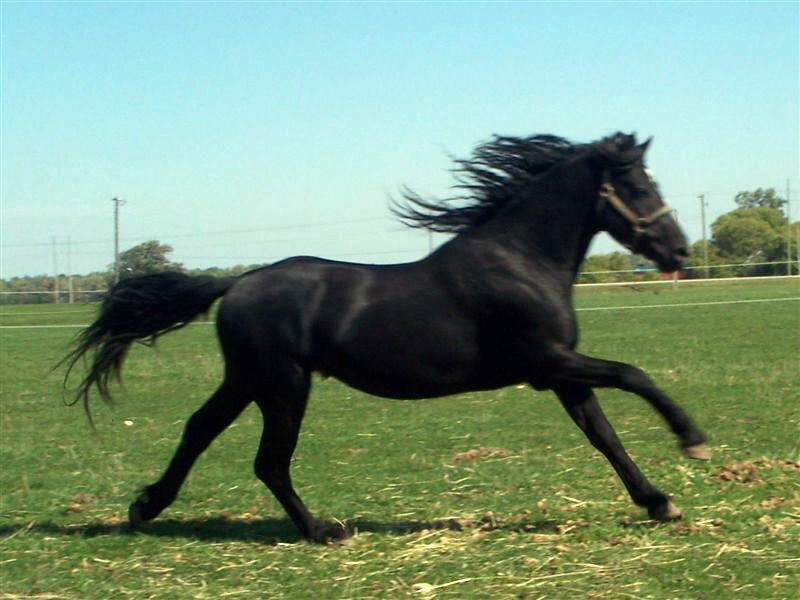 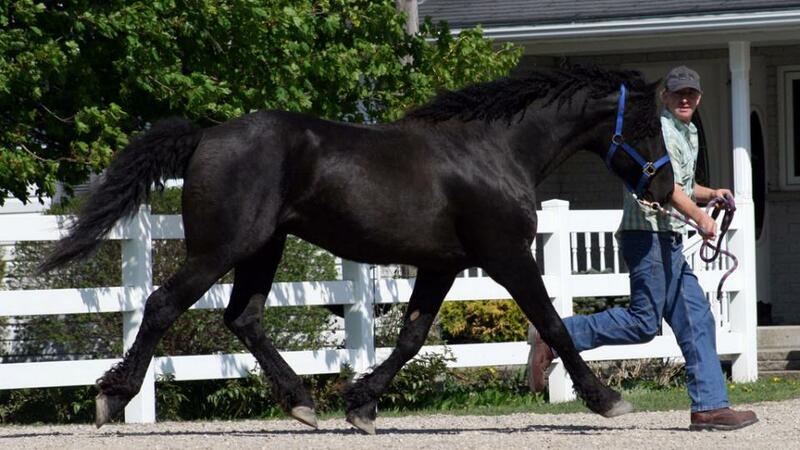 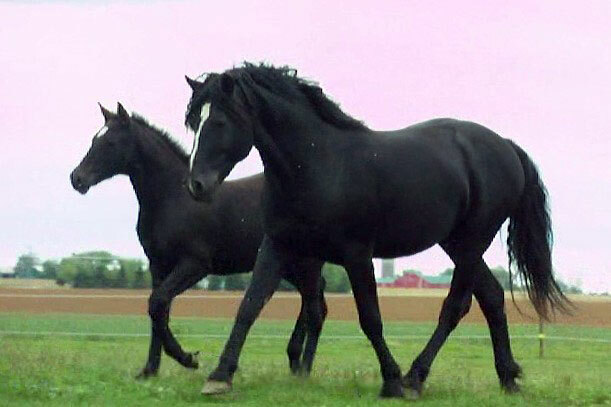 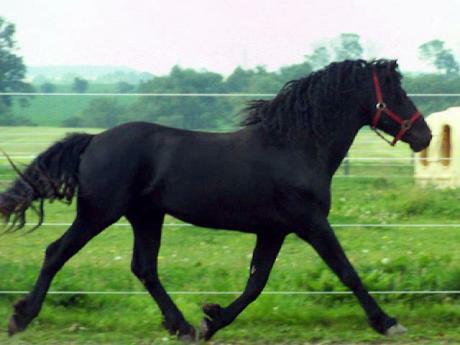 * Aishihik Twist is a jet black Curly stallion, 15.1 hands with a very kind temperament, athletic movement, and the refinement of the modern sport horse. 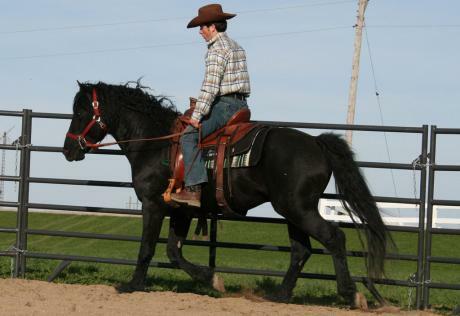 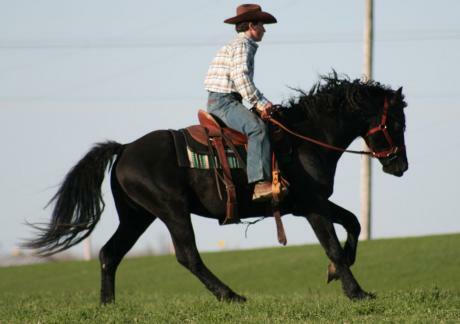 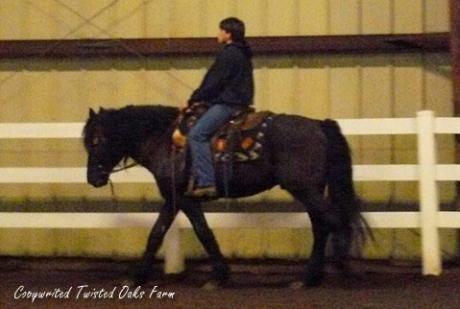 * Aishihik Twist was saddle trained by Chet Martin, enjoying some trail rides in the training process. 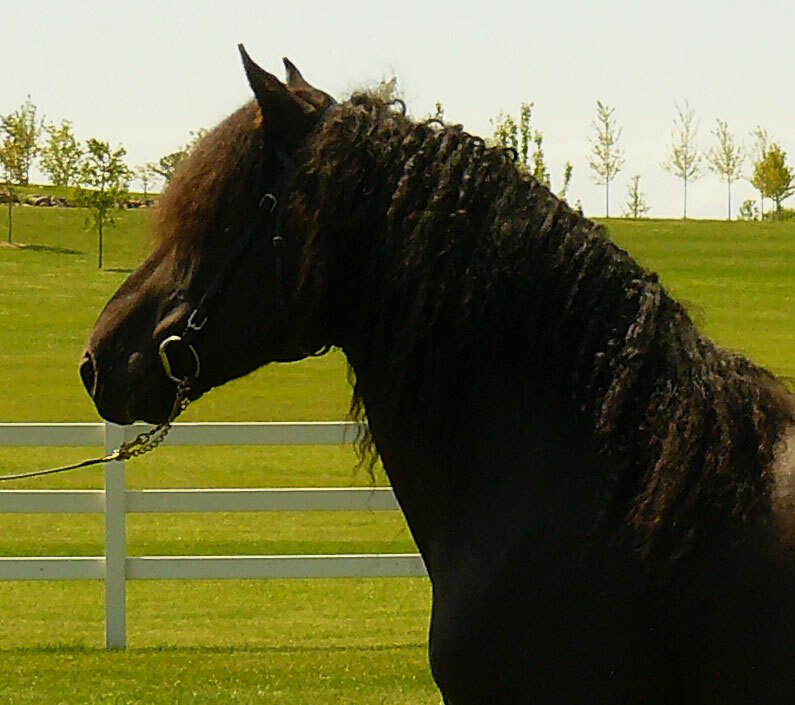 * Aishihik Twist attended his first outdoor horse show to represent the Curly breed. He did a wonderful job under Chet's careful quidance. They took the pouring rain, thunderstorms, flapping tents, and umbrellas all in stride with calmness and confidence. 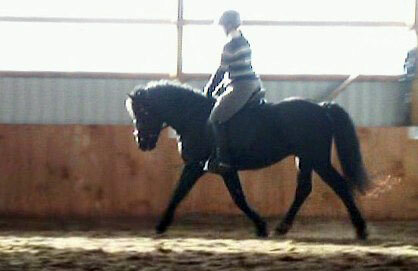 * Aishihik Twist has also completed several months of dressage training. 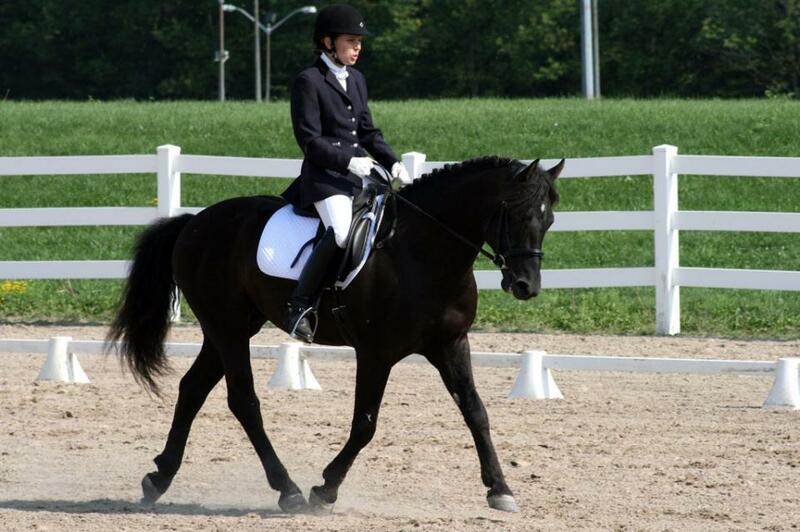 He did very well schooling training level and first level dressage under the skillfull hand of Rebecca Schoenhardt. 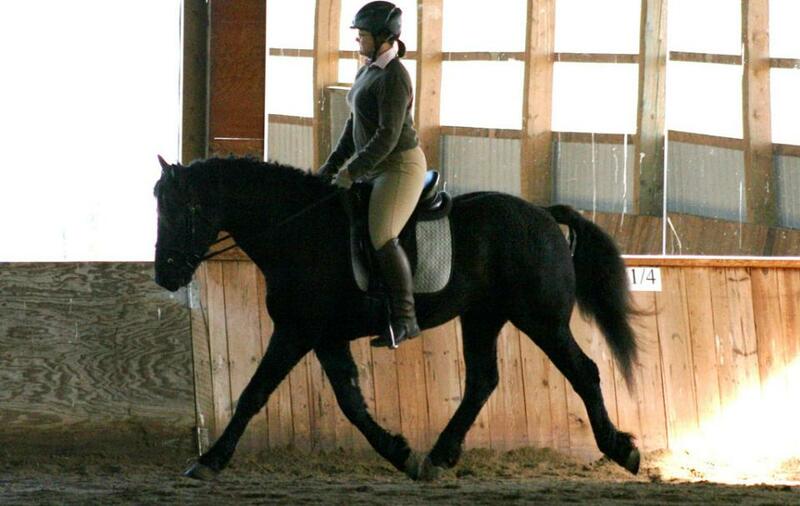 She was amazed with his temperament and ability to remember the new things he learned. 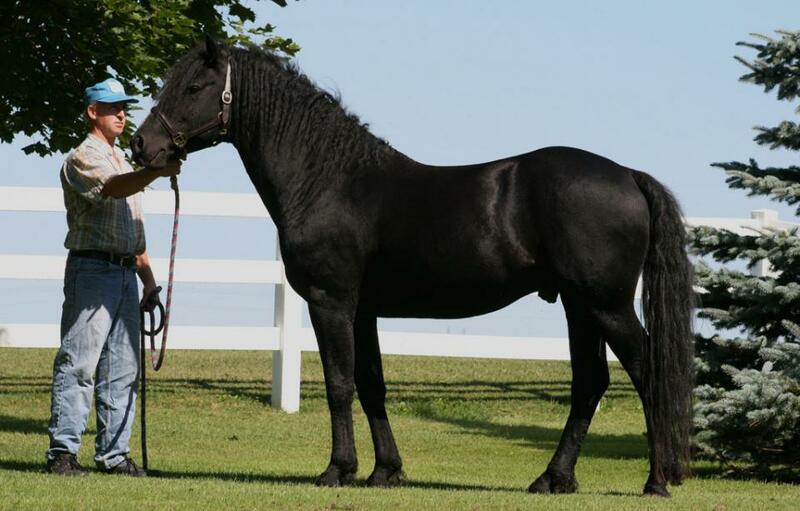 We are pleased with the foals * Aishihik Twist has sired thus far, all have been athletic, refined, and correct with good neck length and pretty heads. Stud fee - $1,000 CAD, plus collection and shipping fees apply for A.I. 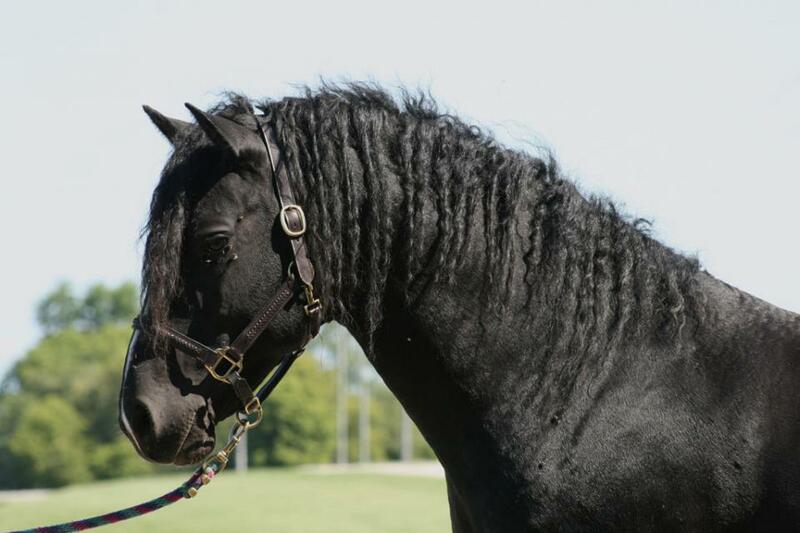 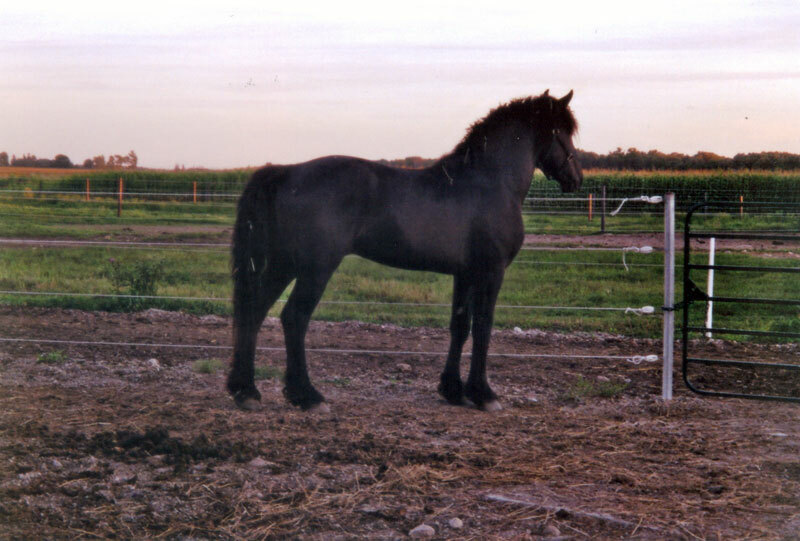 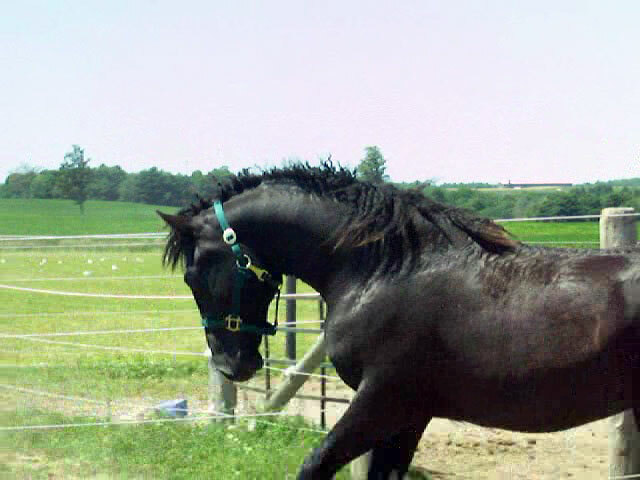 We would like to introduce you to our young black Curly stallion * TO Shadow's Black Diamond ("Ozzie"), a son of the handsome * Hawk's Midnite Shadow and 3/4 brother to the amazing * Shadow's Hawk Spirit (* Heartbreaker"). 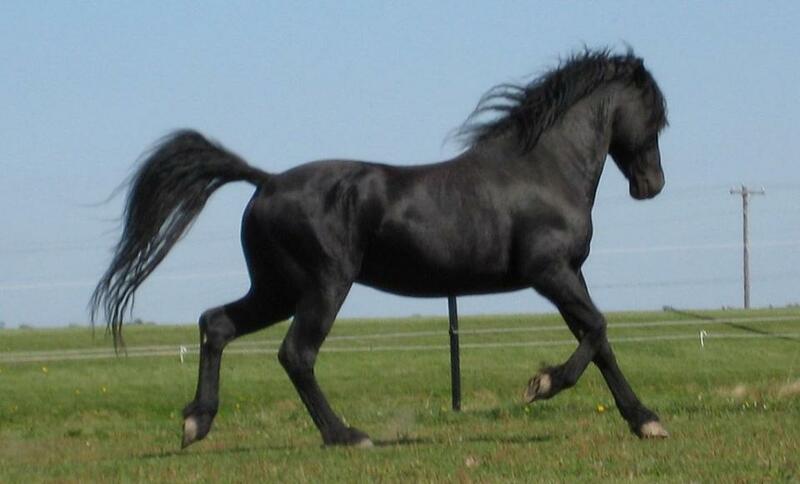 * Black Diamond is growing more handsome everyday as he matures and his movement is stunning as well. He is 15.1 hands tall and growing with powerful forward movement. We are very excited to see how he develops further. Black Diamond was green broke by Chet Martin and it appeared like they had a lot of fun in the process. 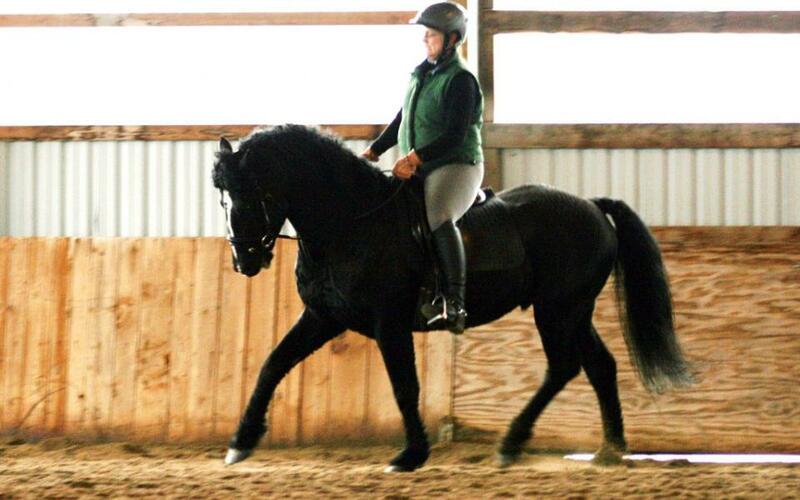 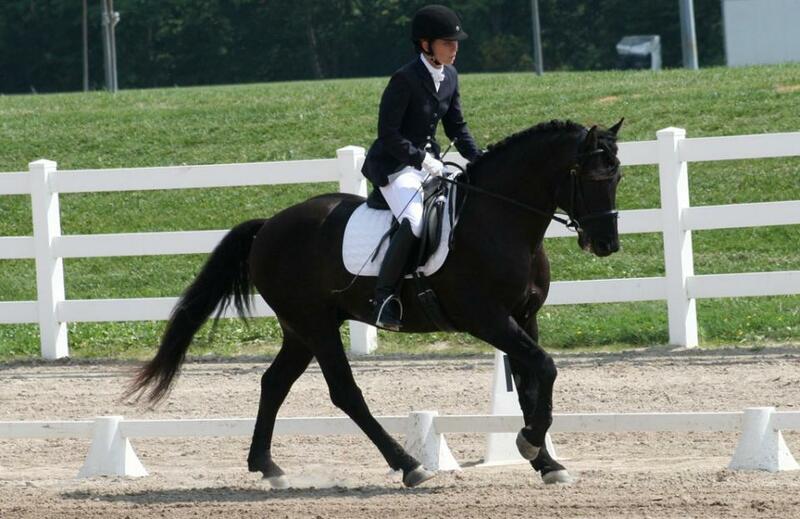 After this Black Diamond started his dressage training with Rebecca Schoenhardt. 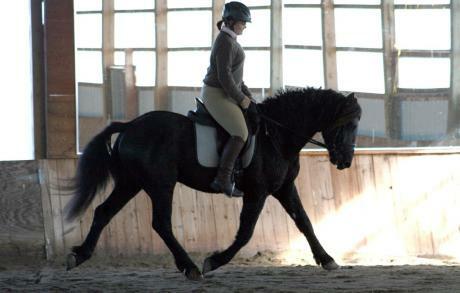 She did a fine job of preparing him for some Walk-Trot and Training Level tests. Annie Baird has taken on Black Diamond's training and showing. They make a great team with both seeming to really enjoy their work. 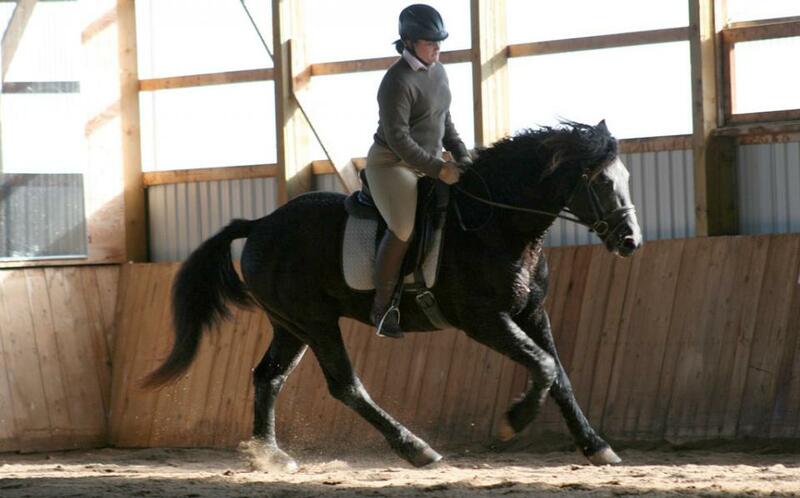 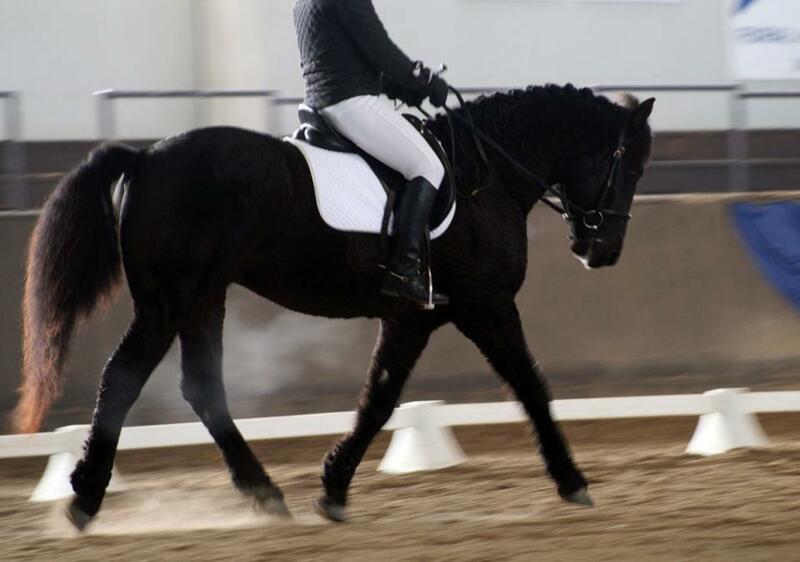 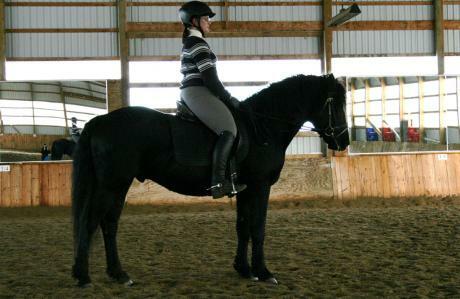 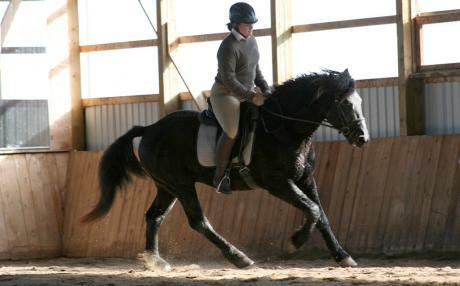 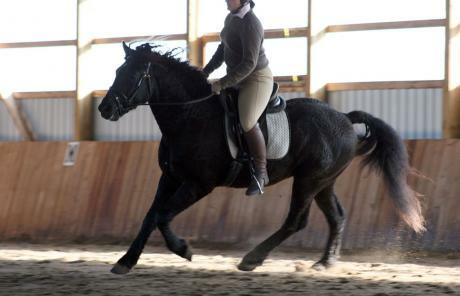 Annie has shown Black Diamond at the RCRA Snowflake Series Bronze Dressage Shows during the 2010 - 2011 winter months. 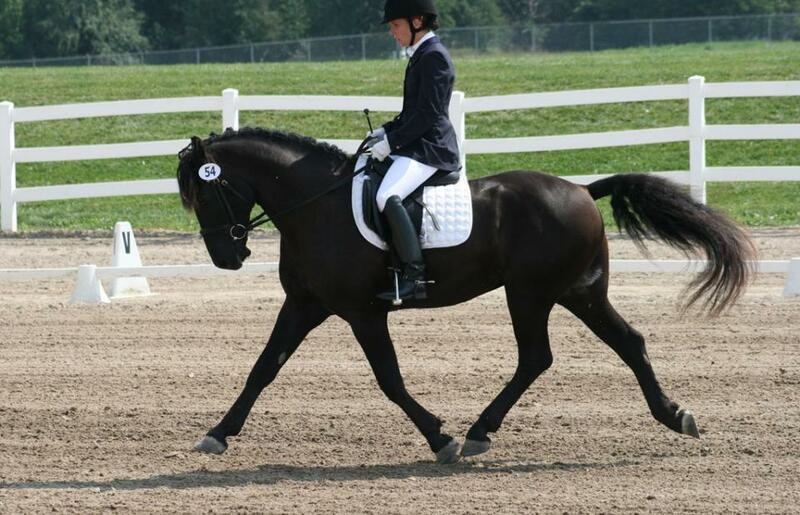 They have earned decent scores and 7 first place ribbons competing at Training Level! 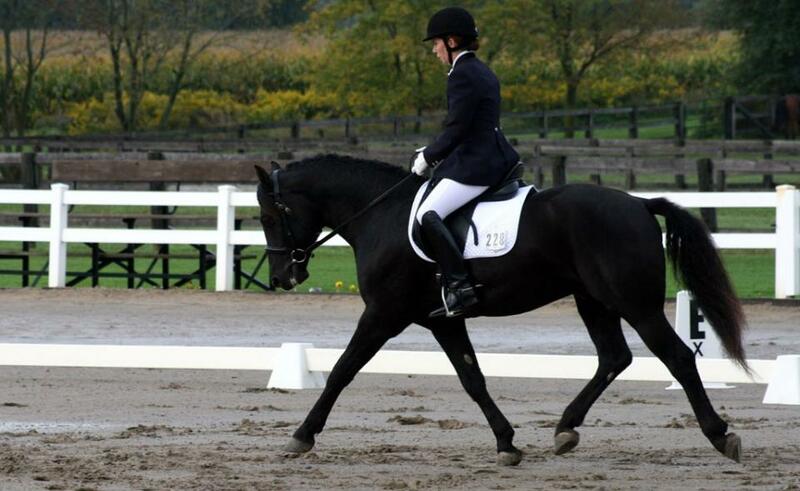 Congratulations to both for their dedication and achievement in these Open classes! 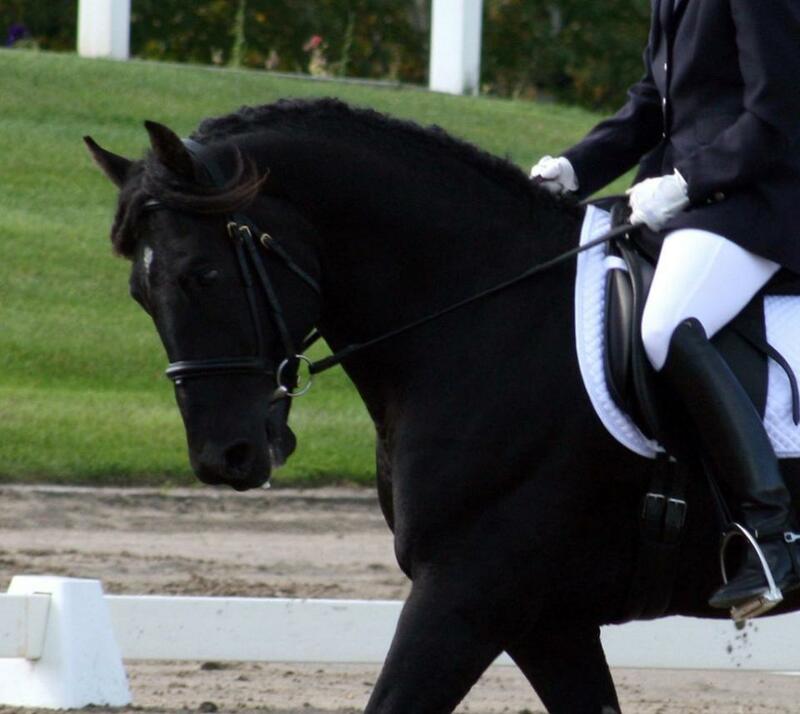 Annie Baird and *Black Diamond have had a successful summer in 2011 showing First Level at the open silver dressage shows. They earned 5 - 1st, 2 - 2nd, 2 - 3rd, and 1 - 6th placing in tests 1 to 3 at First Level. 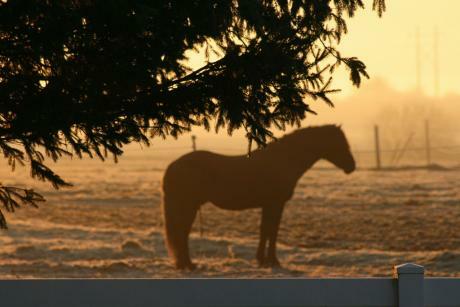 They were also Reserve Champion at the # 3 Caledon Dressage Silver Show and named Reserve Champion of Open First Level at the 2011 Western Ontario Silver Dressage Championships! 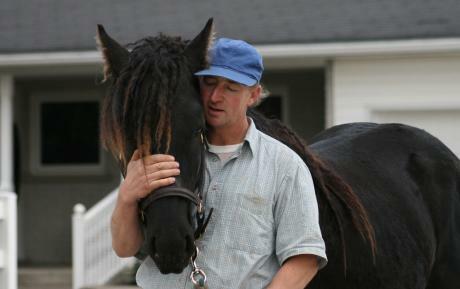 Black Diamond and Annie earned two HOY awards in 2011 - one for Training Level and another at First Level. 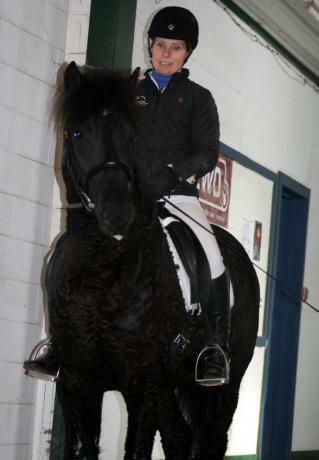 In 2012 Annie Baird and Black Diamond have been working hard at Second Level. They showed at all three Caledon Dressage Silver Shows bringing home ribbons from each. They earned the 2012 Caledon Dressage Year End Award as Reserve Champions in Open Second Level! They were also Grand Champions of the August Caledon Dressage Silver Show in Second level! 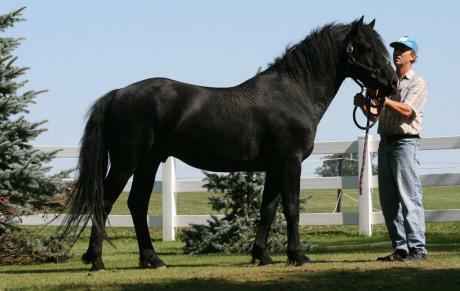 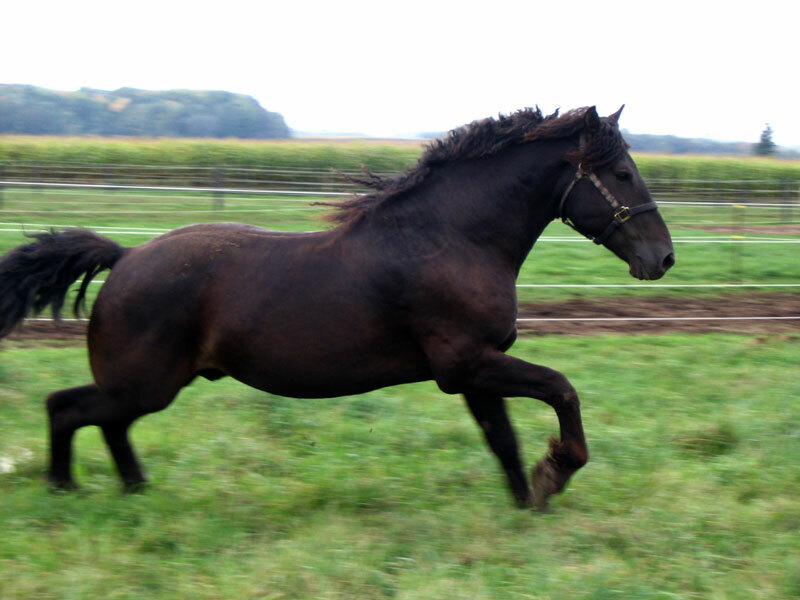 Black Diamond has sired his first foals in 2010, which all seem to have his exceptional movement. 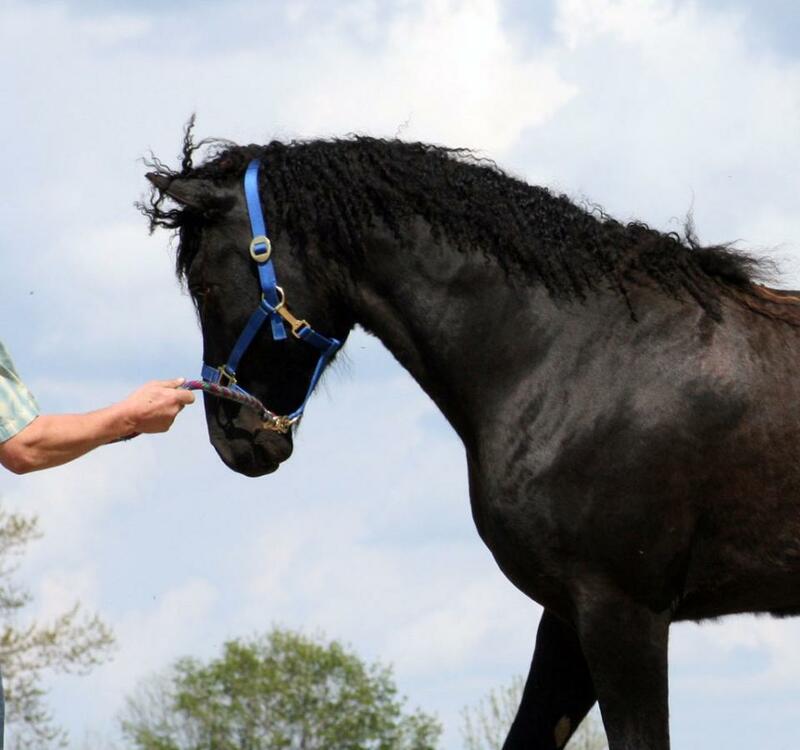 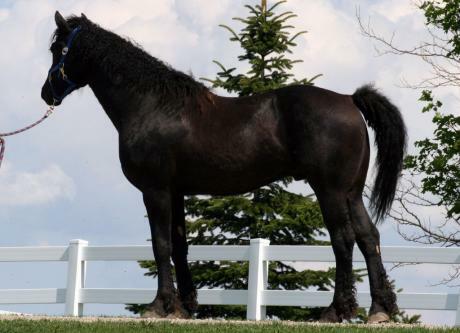 I would like to thank Janice Voss Crosby for allowing us to lease her very handsome and precious stallion * Hawk's Midnite Shadow for the 2006 breeding season. 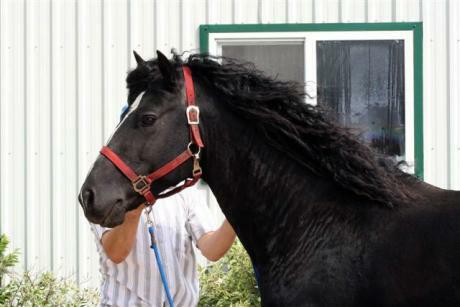 After having seen only photos, I was awe-struck when he stepped from the trailer and spent alot of time admiring him while he was here! 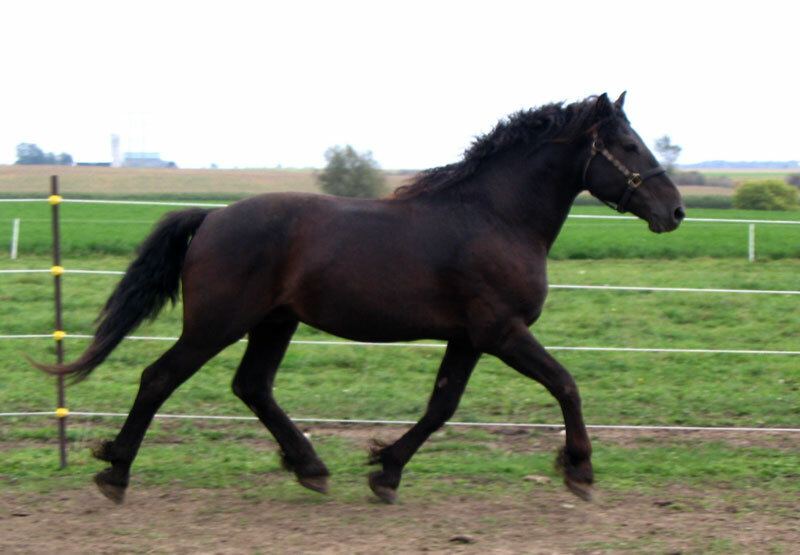 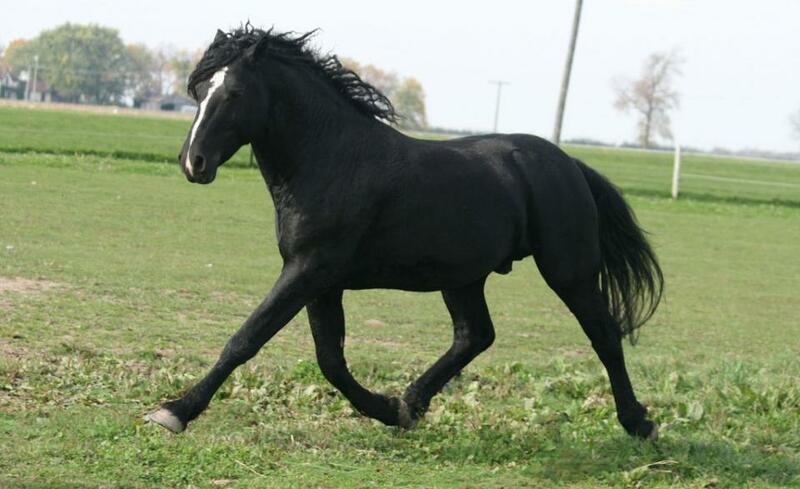 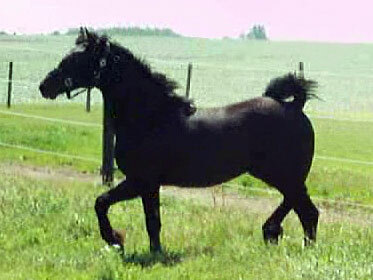 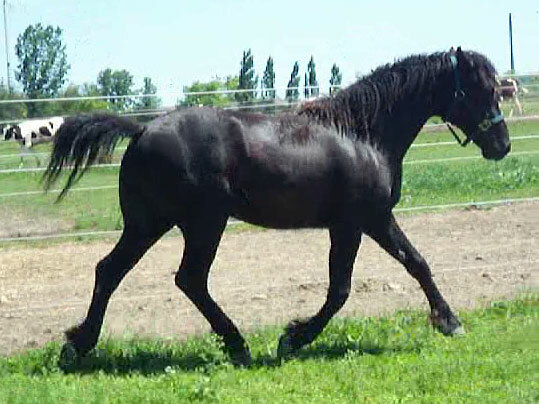 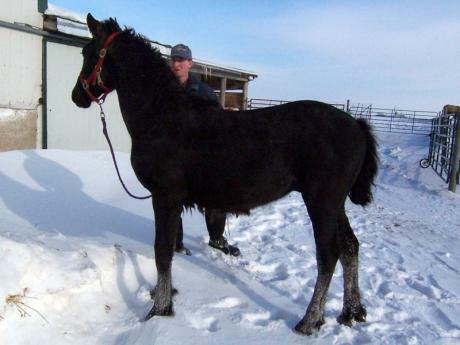 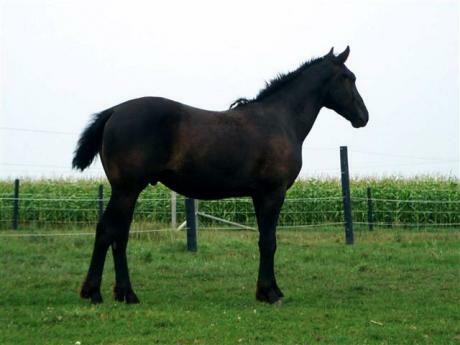 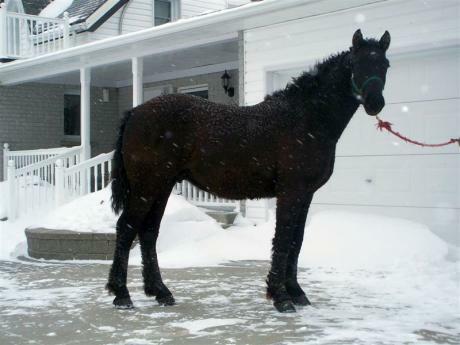 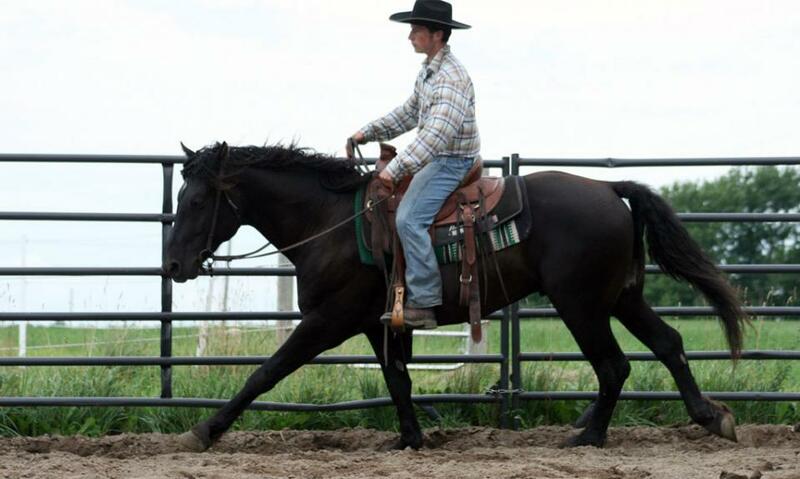 * Shadow is 15.3 hands tall and has lots of black down the line in his pedigree. 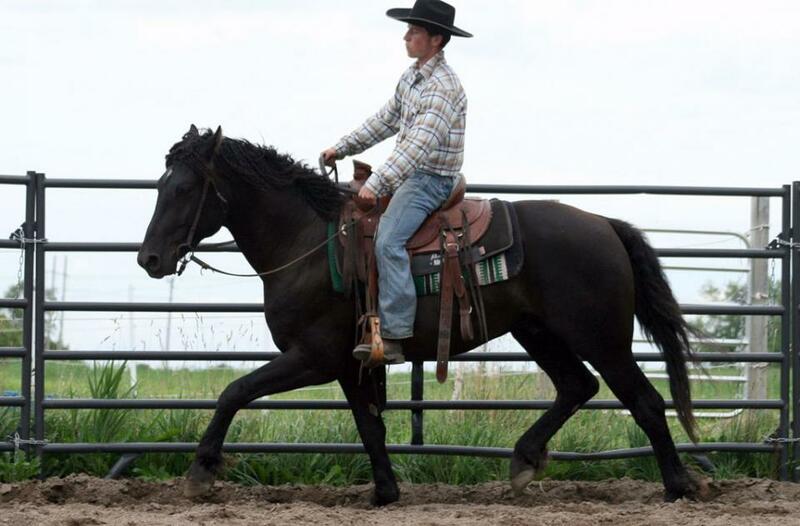 He passed his powerful forward movement and lovely topline unto his off-spring, some of which can be found on our Sold Horses page.